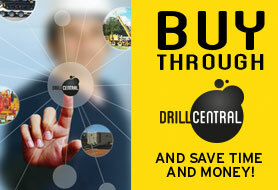 ABOUT US Drill Central aims to fulfill the need of the driller. From supplying new/surplus and used drilling equipment, to having hire equipment and services at your fingertips. Got equipment you just can’t move? List it on Drill Central for FREE. We have an extensive range of Drill Rigs for sale - multipurpose Drill Rigs and rotary Drill Rigs for sale. We have Mud Pumps, PDC Drill Bits, Hammer Bits, Casing, Mud tanks, Drill Pipe, Compressors, Trucks & Trailers, Drill Fluids, Well Control and Support Gear at hand. Give us a call on (07) 3337 9720 or email sales@drillcentral.com.au for more information. (All prices are in AUD and ex GST). Be the first to view our latest listed equipment and special offers. Fill in the below details and join our mailing list. BUY AND SELL ON DRILL CENTRAL - Drilling equipment and drill rigs for sale. Click on the below to Buy or Sell. 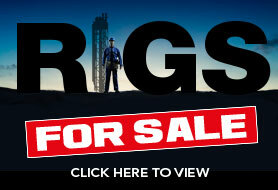 Got Drill Rigs for sale or other drilling gear? Click here or email us at sales@drillcentral.com.au and we will help you load your items onto the website for others to view. Got a Drill Rig for sale or any other surplus or used drilling equipment? Let us know and we will help you find a potential buyer. Looking for Drill Rigs or other drilling equipment? Searching for Drill Rigs or equipment but can't find it? 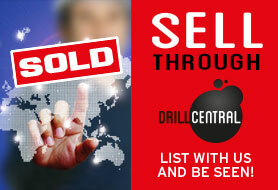 Click here or email us at sales@drillcentral.com.au and we will help you find it! It's FREE, so feel free to add a request. We have an extensive database and your privacy details remain confidential.